What we have accomplished . Mark Rathbone was born around the time his parents Don and Margeret began farming Biodynamically near Kyabram, in northern Victoria in 1966. They were dairy farming on a conventionally managed property that had previously been over-grazed by sheep. The soil was only 50mm deep, with heavy, sticky clay underneath. Water would not soak into the soil and would turn slimy. Water couch and sedge were taking over. Conventional agronomists recommended heavy doses of lime, superphosphate and trace elements but the problems persisted. 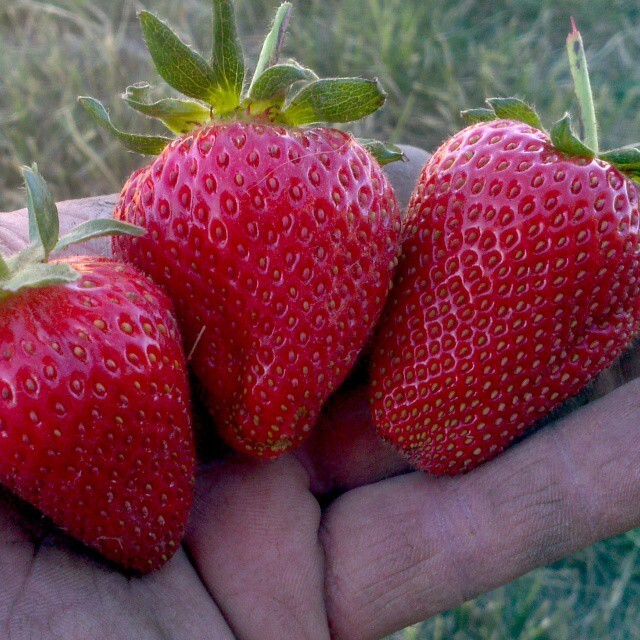 Don talked to some local Goulburn Valley farmers who were farming Biodynamically and decided to give it a go. Within 12 months of spraying the soil fertility spray 500 and an initial deep ripping, his soil problems disappeared – water soaked in easily, pasture improved and thickened up. Irrigation frequency extended progressively from the original 7 days to 20 days. Red Legged Earth Mite and Lucerne Flea all but disappeared. Animal health improved, bloat diminished and then disappeared after a few years, all drenching, including for Liver Fluke was progressively able to be stopped. Over a period of 30 years, spraying prepared 500 twice a year, careful rotational grazing and applying farm-made BD compost to pastures, the soil depth increased from 50mm to 900mm, with virtually no inputs from outside the farm! The Rathbones were amongst the group of Biodynamic farmers who produced and supplied the first ever certified commercial organic (Demeter Biodynamic) milk in Australia. 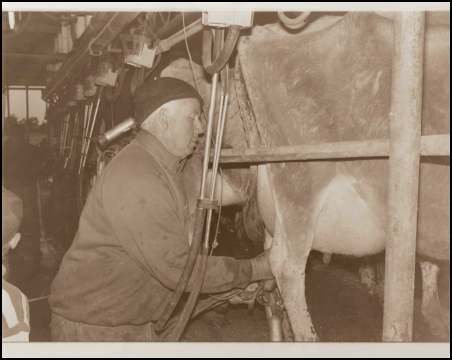 Don Rathbone Milking before retirement. Mark grew up working on the farm, knowing no other farming method. Don used to go to most of Alex Podolinsky’s Biodynamic presentations around Victoria, and also to the annual Biodynamic farming conferences, and took Mark with him from an early age. So Mark had a very solid education in BD. Mark joined his father back on the farm after finishing school in 1982. In 1983 severe drought set in and it became difficult to support two families on the farm. Mark went to work at a local dairy factory, returning to the farm for a year after the drought broke. But dairy returns were very low and Mark was annoyed at the injustice done to farmers. He went to Melbourne, partly to see what he could learn about marketing, working in sales, and then for the Biodynamic Marketing Company for two years. His main job there was marketing BD cheese and other products to retailers. Mark and his wife Kathy returned to help Don on the dairy farm for a few years, but then decided to grow some vegetables on the farm and start a home delivery service. They built up a business servicing to 50 weekly customers, but they were too spread out to make it very profitable. A friend suggested to Mark he visit a farmers’ market in Melbourne – there he saw a man with a big tray truck loaded with half buckets of mixed stone fruit. Mark estimated the man sold 700 half buckets during the day, at $10 each! He saw the potential. Mark always thought that direct sales of a wide range of products was better than growing bulk amounts of one or two lines, sending them long distances and getting low returns. 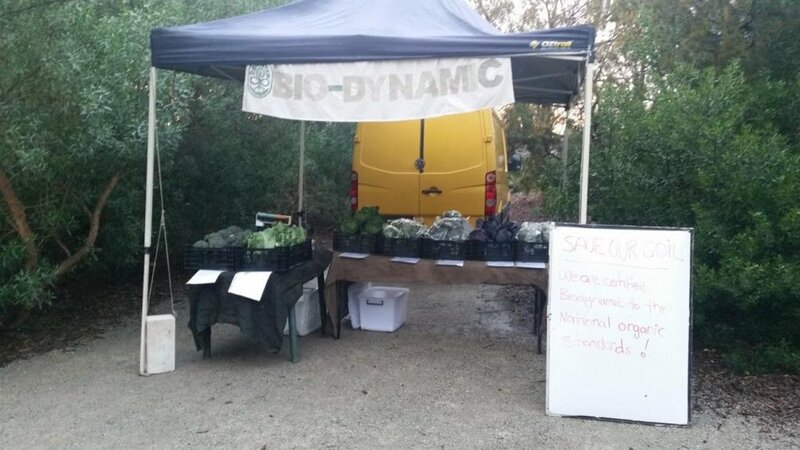 Although many Melbourne farmers’ markets have long waiting lists, fellow BD farmer, Peter Sargeant invited Mark to join him on his stall at Abbotsford Convent and Collingwood Farmers' markets. The first day, Mark sold $1000 worth of watermelons at $2.50/kg and thought “this is it”! Up till then he had been selling wholesale and getting only 50cents/kg. Apart from a brief lull in the first winter, when he didn’t have enough produce, he hasn’t looked back. Around 2008, Mark discovered a section of his own 50 Acre farm that had bore water with unusually low salt levels. Although he had a water right to irrigate, it didn’t give much flexibility for vegetable growing, washing etc., all year. With the help of a government grant he sank a bore which provided good clean water whenever required, and moved the vegetable garden to his own block, starting production about 7 years ago. Marks Parents Don and Margeret were in any case nearly ready to retire and would soon sell the dairy farm (2011), so it was a timely move. Mark only uses around 5 Acres at a time for vegetables. Some of that is preparing for the next season, some is ready to plant, some just finished, some just starting and some half way through a crop. He picks from about 2 Acres at any one time. Having had Biodynamic management since this part of the farm was bought in 1983, the soil is in very good condition. Mark’s program is very simple, with no inputs required till now. To prepare his vegetable beds he allows the winter grasses to grow, and in spring they fall over and make a mat. If there is summer rain comes, Mark works the mostly dry grasses in with a set of discs. In autumn he waters the area to germinate any new growth. Before the new grass seeds, he runs a forage harvester over the grasses which mulches it up and throws it onto the soil, then works it in with a ripper and then a set of discs, to create a green manure. Mark finds that as long as it is not too wet or too dry, he can use the discs slowly without doing any damage to the soil structure. Once the cover crop has been digested by the soil microbes he runs over the soil with a curly tyned scarifier to crack and break the soil under where the discs went. Then makes the vegetable beds up with a disc hiller. 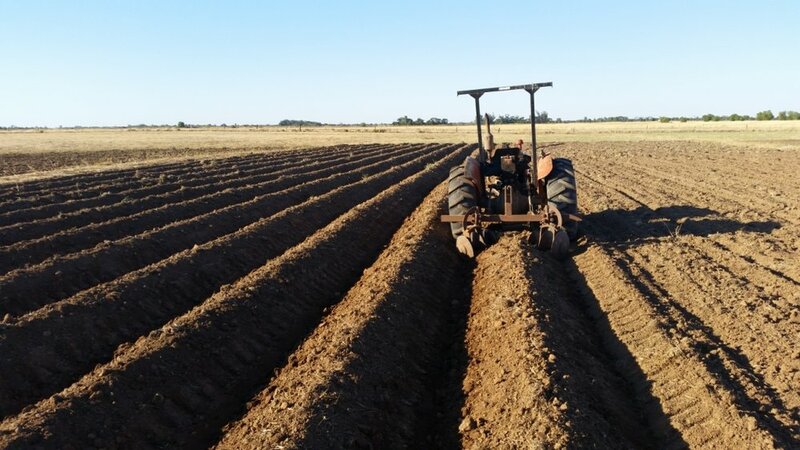 He cuts newly germinated weeds just before planting a vegetable crop by running his tractor-mounted weeding blades about an inch under the soil surface. Prepared 500 is sprayed in spring and autumn. 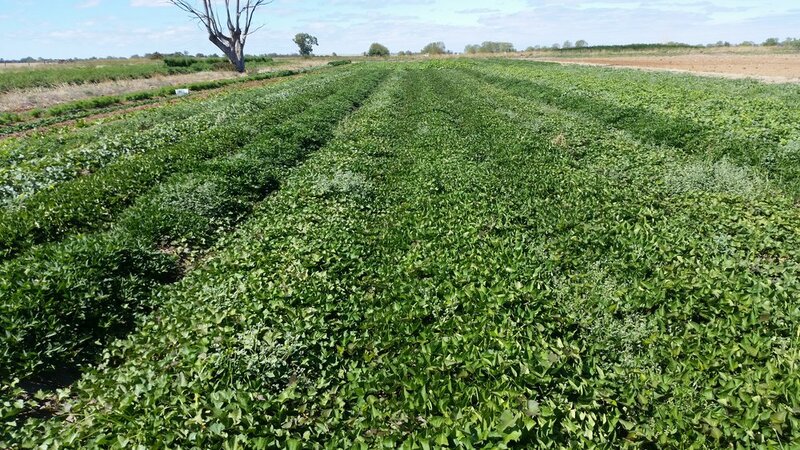 A similar program is applied to areas that have just finished a crop, using grasses and weeds that germinate, as green manures for subsequent crops. So far this program has provided plenty of nutrition for vegetable crops, but in time Mark will start sowing special green manure crops to improve the program further. 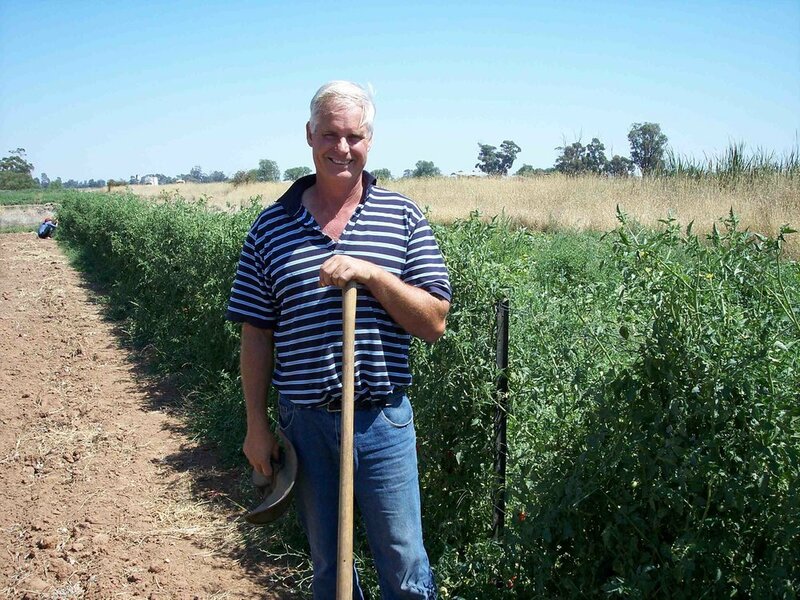 Mark grows a wide range of seasonal crops including tomatoes (KY1, Tatura Dwarf – he prefers the bush tomatoes as no staking is required), cherry tomatoes (Tommy Toe and Camp Joy), watermelons (Mini Lee), rockmelons, zucchinis, capsicums, pumpkins (Jap, butternut, Queensland Blue and Jack Be Little), sweet potatoes, perpetual spinach, strawberries, beetroot, carrots, broccoli, cabbage and cauliflowers. A wide range indeed, providing something to sell all year round. Watering is done with dripper tube (Drip Line 2000) laid on the surface. This has holes every 300mm, each supplying 2 litres per hour. The dripper tube is thick walled and lasts up to 10 years. On some crops Mark runs two dripper lines per row. He can water 36 rows at a time, mostly applying it in the morning. Dripper tube is very economical with water and also produces less general weed growth than overhead sprinklers. At the end of the season Mark pulls the tubes out with his 4-wheeler bike and stores them on sheets of roofing iron until needed. Weeding is done with tractor drawn blades that go either side of a vegetable row, and also by hand weeding with a curved blade between the plants. Mark says the weeds are getting a little out of control at present in some of the older areas as he is too busy to do enough detailed weeding. However if some weeds are left around the pumpkins and zucchinis they provide shade on some very hot 40 degree C days. During this extreme weather, many leaves on the strawberries and other crops burnt off and were just recovering at the time of our visit. Mark has few problems with pests or diseases. He has sprayed 500 and 501 together in the morning in winter to deal with Red Legged Earth Mite. 501 is never needed in summer here because of the low rainfall and intense sunlight. If he gets any caterpillars on tomatoes (rare) he uses Dipel (natural caterpillar disease) - he grows brassicas during the cooler weather so doesn’t have any caterpillar problems on them. 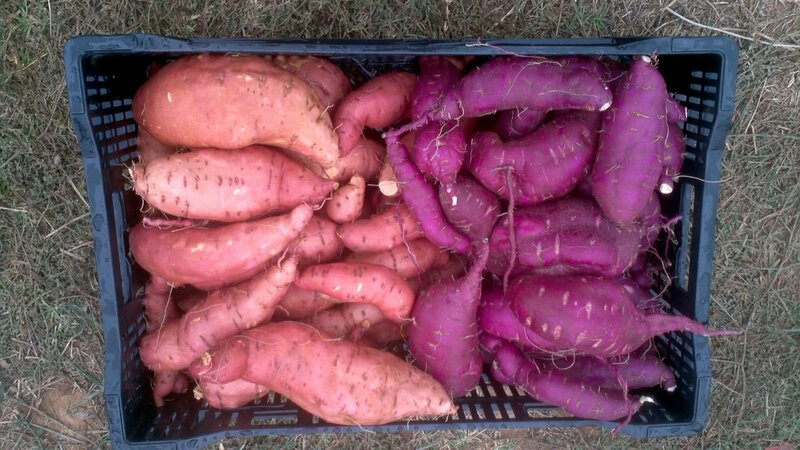 Sweet Potatoes ready for market. Mark’s week goes something like this: Monday till Wednesday up until lunchtime is for planting, soil preparation, spraying (BD sprays), weeding, basically all aspects of crop maintenance, and picking of crops that need picking daily; from Wednesday afternoon until Friday is solely for picking; Saturday starts at 2am, when Mark packs the well-insulated van with produce from the coolroom and drives to one of the four Melbourne farmer’s markets he attends in rotation – Abbotsford Convent, Collingwood Children’s Farm, St Kilda and Gasworks Albert Park. He is home by 5pm. Sunday is for unpacking the van and tallying the takings, then out to the garden to check moisture levels etc.. He has Sunday afternoon and evening off. Mark and Kathy have a registered category 3 kitchen in their home and make a variety of preserves and jams to sell at the markets. Mark uses his website (Save Our Soil), Facebook, Twitter and Instagram to keep customers informed and spread the word. He has over 400 contacts on Twitter, and 500 on their website email list. He sends messages to the Twitter account of the Victorian Farmers’ Market association, which can retweet to its 6000+ contacts and to the other accounts that can retweet to another 20000+ followers associated with the farmers’ markets. Our Farmers Market Stand Winter.